In the UK we’re pretty used to seeing sensationalised headlines such as ‘dog bites owner’, but we’re not used to news stories involving gun toting dogs. 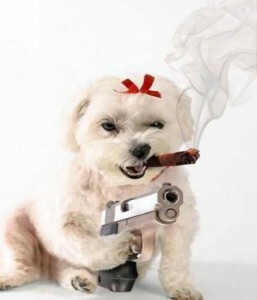 In America however, it seems that incidents of dogs shooting their owners are relatively common. 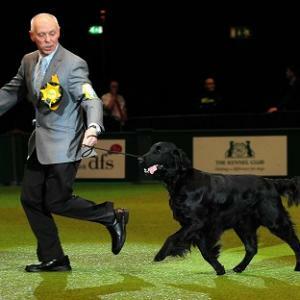 There have been three stories in the last three years surrounding ‘gundog’ related crimes. There was an occasion in 2008 where a man from Oregon was shot when his dog leapt into his boat, landing on his shotgun. A year earlier, a man from Iowa was gunned down by his dog when he left his shotgun next to a fence and the dog stood on it, shooting the man in the leg while he was straddling the fence. This latest incident occurred last weekend in Los Banos, California. 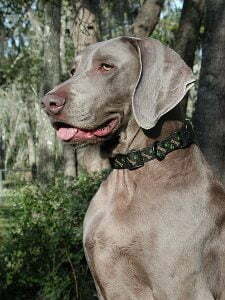 A duck hunter was shot by his black Labrador after the man set the loaded gun down on the ground and the dog stood on it. 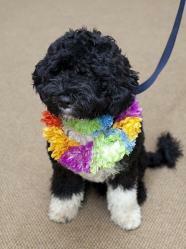 The Portuguese Water Dog breed has certainly had its profile raised since the US President Barack Obama’s family chose to adopt Bo, pictured below. Bo is probably the most famous puppy alive at the time of writing and even Bo’s father, stud dog Watson, has received a lot of attention. Portuguese Water Dog puppies are adorable, as can be seen from the picture on the right courtesy of SeattlePI.com, but before anyone rushes out to buy their own Portie as the breed is affectionately known or PWD for short, it is important to know a bit more about the Portuguese Water Dog breed in general. The Portuguese Water Dog is a fun loving dog and unsurprisingly from his name, a real water lover. They are generally great with families and children and ideal for active people who want an affectionate yet adventurous companion. This is certainly not a dog for couch potatoes. 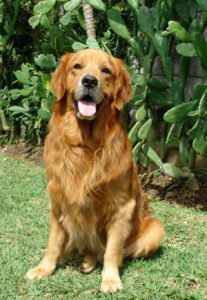 This dog breed is very intelligent and responsive, so an owner needs to be calm and show consistent authority.